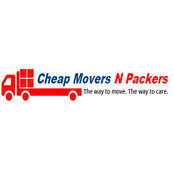 Professional Information:Cheap Packers N movers are one of the reputed removalists in Brisbane,. They offer a safe, smooth and stress-free movement for furniture from one place to another. So, if you are looking for furniture movers in Brisbane,, then look no further than us we tailor solutions that are simply going to impress you.